General Chair of SecureComm 2008 (4th International Conference on Security and Privacy in Communication Networks). Local Arrangements Chair of MASCOTS 2007 (15th Annual Meeting of the IEEE International Symposium on Modeling, Analysis, and Simulation of Computer and Telecommunication Systems). General and Program co-Chair of ISCIS (21st International Symposium on Computer and Information Sciences) 2006. Technical Program Committee Member - N2S (International Conference on Network and Service Security), 2009. Technical Program Committee Member - PST (Annual Conference on Privacy, Security and Trust), 2009. Technical Program Committee Member - SOSOC (International Workshop on Security in Opportunistic and SOCial Networks), 2008 and 2009. Technical Program Committee Member - ISCIS (International Symposium on Computer and Information Sciences) 2001, 2004, 2005, 2007, 2008 and 2009. Technical Program Committee Member - ICCCN (International Conference on Computer Communications and Networks) 2000, 2001, 2002, 2003, 2004, 2005, 2006, 2007, 2008 and 2009. Technical Program Committee Member - IEEE/Create-Net SecureComm (International Conference on Security and Privacy in Communication Networks), 2006, 2007 and 2008. 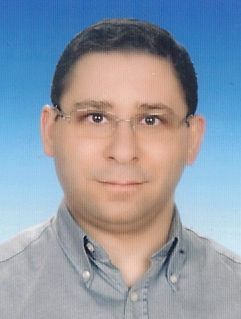 Technical Program Committee Member - SECRYPT (International Conference on Security and Cryptography), 2006, 2007, 2008 and 2009. Technical Program Committee Member - IFIP/TC6 Networking, 2007 and 2008. Technical Program Committee Member - IEEE Globecom (The IEEE Global Communications Conference), 2007. Technical Program Committee Member - IEEE ICC (Network Security and Information Assurance Symposium), 2006. Technical Program Committee Member  EWSN (European Workshop on Wireless Sensor Networks), 2005. Technical Program Committee Member  Med-Hoc-Net (Annual Mediterranean Ad Hoc Networking Workshop), 2004. Reviewer for numerous symposia, conferences, workshops and journals, including IEEE Transactions on Computers, IEEE Transactions on Mobile Computing, IEEE Transactions on Signal Processing, ACM MONET, Computer Networks (Elsevier), Ad Hoc Networks (Elsevier), Computers & Security (Elsevier), Journal of Systems and Software (Elsevier), WiNet (Wireless Networks), IEEE INFOCOM, IEEE WCNC (IEEE Wireless Communications and Networking Conference), CHES (Cryptographic Hardware Embedded Systems) workshop. Project referee and inspector for TÜBİTAK TEYDEB, TTGV (Technology Development Foundation of Turkey). and STW (Dutch Research Foundation). Panel member for project proposal evaluations submitted to TÜBİTAK EEEAG. Independent expert to evaluate projects proposed to FP6  IST programme (security and dependability area). Chair of external transfers committee at Sabanci University, 2008  now. CS program graduate advisor at Sabanci University, 2005  now. Member of external transfers committee at Sabanci University, 2005  now. CS program coordinator at Sabanci University, 2004  2005. Chair of the Academic Archive Committee at Sabanci University, 2003  now. Design and Realization of Secure Sensor Network Prototype on a Programmable Logic Device (FPGA), supported by TÜBİTAK, 2004 - 2007, Role: Researcher. Broadband Service Manager, supported by local industry, 2003 - 2005, Role: co-PI. "Design and Performance Evaluation of the Nested Certification Scheme and its Applications in Public Key Infrastructures", PhD Thesis, Bogazici University, Dept. of Computer Engineering, May 1999. "Development of Frame Relay Software for High Speed Packet Switched Networks", MS Thesis, Bogazici University, Istanbul, 1993, (Abstract of the MS Thesis). "Two-Tier, Scalable and Highly Resilient Key Predistribution Scheme for Location-Aware Wireless Sensor Network Deployments", Mobile Networks and Applications (ACM/Springer), accepted for publication, 2009, with A. Ünlü. "Simple, Extensible and Flexible Random Key Predistribution Schemes for Wireless Sensor Networks using Reusable Key Pools", Journal of Intelligent Manufacturing (Springer), accepted for publication, February 2009, with Sinan E. Taşçı, Young J. Lee, Yong J. Lee, Ersoy Bayramoğlu and Murat Ergun. "Achieving Fast Self Healing in Wireless Sensor Networks Using Multi-generation Deployment Schemes", e-Business and Telecommunications - ICETE 2008, CCIS 48, pp. 180198, J. Filipe and M.S. Obaidat (Eds. ), Springer-Verlag, 2009, with Ö. Z. Yılmaz and E. Savaş . "Public key cryptography based privacy preserving multi-context RFID infrastructure", Ad Hoc Networks (Elsevier), vol. 7, no. 1, January 2009, pp. 136 - 152, with S. V. Kaya, E.Savaş, Ö. Erçetin. "Understanding the limitations of S/MIME digital signatures for e-mails: A GUI based approach", Computers & Security, vol. 28, no. 3-4, May-June 2009, pp. 105 - 120, with C. B. Güder. "Privacy Preserving Clustering on Horizontally Partitioned Data", Data and Knowledge Engineering (Elsevier), vol.63, no.3, pp. 646-666, 2007, with A. Inan, S. V. Kaya, Y. Saygin, E. Savaş, and A. A. Hintoglu. "Digital Certificates", (book chapter), The Handbook of Information Security, vol 1, pp. 823 - 835, Hossein Bidgoli (Editor-in-Chief), Wiley, 2006. Quarantine Region Scheme to Mitigate Spam Attacks in Wireless Sensor Networks, IEEE Transactions on Mobile Computing, vol. 5, no. 8, pp.1074  1086, August 2006, with V. Coskun, E. Cayirci and S. Sancak. "Use of nested certificates for efficient, dynamic and trust preserving public key infrastructure", ACM TISSEC Transactions on Information and System Security, vol. 7, no. 1, February 2004, pp. 21 - 59, with M. Ufuk Caglayan and Cetin K. Koc. "How Secure Is Secure Web Browsing", Communications of the ACM, 46(7), 152-152, July 2003. "Risks in email security", Communications of the ACM, 44(8):112-112, August 2001, with Cetin K. Koc. "Artificial Intelligence Search Techniques for Discrete Link Capacity Assignment in Prioritized Multiservice Networks," International Journal of Computer System Science and Engineering, Vol.15, No:3, pp. 191-197, May 2000, with Cem Ersoy and Okan Gumrah. "Analytical Performance Evaluation of Nested Certificates", Performance Evaluation,vol. 36-37, pp. 213 - 232, August 1999, with M. Ufuk Caglayan. "A Game Theoretic Model for Digital Identity and Trust in Online Communities", accepted to ASIACCS 2010 - 5th ACM Symposium on Information, Computer and Communications Security, April 13 - 16, 2010, Beijing, China, with T. Alpcan, C. Orencik and E. Savaş. "Energy Efficient Privacy Preserved Data Gathering in Wireless Sensor Networks Having Multiple Sinks", CSA 2009 - 2nd International Conference on Computer Science and its Applications, December 10  12, 2009, Jeju, Korea, with H. Bahşi. "A Highly Resilient and Zone-based Key Predistribution Protocol for Multiphase Wireless Sensor Networks", ACM Q2SWinet 2009 - The 5th ACM International Symposium on QoS and Security for Wireless and Mobile Networks, October 2829, 2009, Tenerife, Canary Islands, Spain, with K. Kalkan, S. Yılmaz, and Ö. Z. Yılmaz. "A Resilient Key Predistribution Scheme for Multi-Phase Wireless Sensor Networks", In Proceedings of ISCIS 2009 - 24th International Symposium on Computer and Information Sciences, pp. 385 - 390, September, 2009, METU Northern Cyprus Campus, with M. Ergun and E. Savaş. "Dynamic Resiliency Analysis of Key Predistribution in Wireless Sensor Networks", accepted to IEEE ICC 2009 - IEEE International Conference on Communications, Communication and Information Systems Security Symposium, Dresden, Germany, 2009, with A. Onur Durahim. "Two-Tier, Location-Aware and Highly Resilient Key Predistribution Scheme for Wireless Sensor Networks", In Proceedings of BCS Visions of Computer Science Conference, September 2008, London, UK, with A. Ünlü. "Multiphase Deployment Models for Fast Self-Healing in Wireless Sensor Networks", In Proceedings of Secrypt 2008, International Conference on Security and Cryptography, pp. 136  144, Porto, Portugal, July 2008, with Ö. Z. Yılmaz and E. Savas. "Disclosure Risks of Distance Preserving Data Transformations", Proceedings of 20th International Conference on Scientific and Statistical Database Management (SSDBM) July, 2008, Hong Kong, China, with O. E. Turgay, T. B. Pedersen, Y. Saygin, and E. Savas. "Simple and Flexible Random Key Predistribution Schemes for Wireless Sensor Networks Using Deployment Knowledge", In the proceedings of ISA 2008 - The 2nd International Conference on Information Security and Assurance, Busan, South Korea, IEEE Computer Society Press, pp. 488  494, April 2008, with S. E. Taşçı, and E. Bayramoğlu. "Towards a Framework for Security Analysis of Multiple Password Schemes", Proceedings of the ACM EUROSEC 2008, 1st ACM European workshop on system security (part of ACM Eurosys 2008), Glasgow, Scotland, March 31, 2008, pp. 16 -21, with K. Karaca. "Distributed Privacy Preserving k-Means Clustering with Additive Secret Sharing", International Workshop on Privacy and Anonymity in the Information Society (PAIS) March 29, 2008, Nantes (France), with M. C. Doganay, T. B. Pedersen, Y. Saygin, and Erkay Savas. "Privacy-Aware Multi-Context RFID Infrastructure using Public Key Cryptography," IFIP/TC6 Networking 2007, LNCS 4479, Atlanta GA, USA, May 2007, with S. V. Kaya, E. Savaş, and Ö. Erçetin, . "Key Predistribution Schemes for Sensor Networks for Continuous Deployment Scenario," IFIP/TC6 Networking 2007, LNCS 4479, Atlanta GA, USA, May 2007, with A. Ünlü, Ö. Armağan, E. Savaş and Ö. Erçetin. "An Optimistic Fair E-commerce Protocol for Large E-goods," Proceedings of Seventh IEEE International Symposium on Computer Networks (ISCN' 06), pp.214  219, June 2006, with C. C. Öniz , and E. Savaş. "Privacy Preserving Clustering on Horizontally Partitioned Data," IEEE Intenational Workshop on Privacy Data Management in 22nd International Conference on Data Engineering Workshops (ICDEW'06), Atlanta, GA, USA, April 2006, with A. Inan, Y. Saygın, E. Savaş, and A. A. Hintoğlu. "Secret sharing using biometric traits," Proc. SPIE Vol. 6202, 62020W, Biometric Technology for Human Identification III; Patrick J. Flynn, Sharath Pankanti; Eds. Orlando, FL, USA, April 2006, with A. Kholmatov, B. Yanikoğlu, and E. Savaş. A Fair Multimedia Exchange Protocol, 20th International Symposium on Computer and Information Sciences - ISCIS 2005, Istanbul, Turkey, Springer-Velag, LNCS 3733, pp. 342  351, October 2005, with C. C. Oniz and E. Savas. Performance Evaluation of End-to-End Security in Wireless Applications using WTLS Handshake Protocol, 20th International Symposium on Computer and Information Sciences - ISCIS 2005, Istanbul, Turkey, Imperial College Press, pp. 211  221, October 2005, with B. Bayoglu and E. Savas. "SeFER: A Secure, Flexible and Efficient Routing Protocol for Distributed Sensor Networks", accepted to EWSN 2005, 2nd European Workshop on Sensor Networks, with Cagil Can Oniz, Sinan Emre Tasci, Erkay Savas and Ozgur Ercetin, February 2005. "Relay Attacks on Bluetooth Authentication and Solutions", ISCIS 2004 - The 19th International Symposium on Computer and Information Sciences, Antalya, Turkey, Springer-Verlag, LNCS 3280, pp. 278 - 289, October 2004, with Erhan Cetintas, Murat Aydos, Cetin K. Koc and M. U. Caglayan. "Practical and Secure E-Mail System (PractiSES)", ADVIS 2004 - Third Biennial International Conference on Advances in Information Systems, Izmir, Turkey, Springer-Verlag, LNCS 3261, pp. 410 - 419, October 2004, with Mahmut Ozcan. "A Probabilistic Routing Disruption Attack on DSR and Its Analysis", Med-Hoc-Net 2004 - Third Annual Mediterranean Ad Hoc Networking Workshop, pages 300 - 306, Bodrum, Turkey, June 2004, with Ozleyis Ocakoglu, Burak Bayoglu, Ozgur Ercetin and Erkay Savas. "Sensor Wars: Detecting and Defending Against Spam Attacks in Tactical AdHoc Sensor Networks", ICC 2004 - IEEE International Conference on Communications, Paris, France, vol. 27, no. 1, June 2004, pp. 3668 - 3672, with Serdar Sancak, Erdal Cayirci and Vedat Coskun. "Performance Evaluation of Public-Key Cryptosystem Operations in WTLS Protocol", Proceedings, The 8th IEEE Symposium on Computers and Communications - ISCC 2003, pages 1245 - 1250, Kemer-Antalya, Turkey, IEEE Computer Society Press, June 30 - July 3, 2003, with Erkay Savas. "An Efficient, Dynamic and Trust Preserving Public Key Infrastructure", Proceedings of 2000 IEEE Symposium on Security and Privacy, pp. 203 - 214, Oakland, CA, USA, May 2000, with M. Ufuk Caglayan. "Verification of Classical Certificates via Nested Certificates and Nested Certificate Paths", Proceedings of the Eighth International Conference on Computer Communications and Networks (ICCCN'99), pp. 242  247, Boston, MA, USA, October 1999, with M. Ufuk Caglayan. "Integrity Control In Nested Certificates", in the proceedings of BAS'99, The Fourth Symposium on Computer Networks, 20-21 May 1999, Istanbul, Türkiye, pp. 149 157 with M. Ufuk Caglayan. "NPKI: Nested Certificate Based Public Key Infrastructure", in the Advances in Computer and Information Sciences '98 - Proceedings of the Thirteenth International Symposium on Computer and Information Sciences - ISCIS XIII, IOS Press, Concurrent Systems Engineering Series, vol. 53, pp. 397  404, October 1998, Türkiye, with M. Ufuk Caglayan. "A Multiple Signature Based Certificate Verification Scheme", in the proceedings of BAS'98, The Third Symposium on Computer Networks, 25-26 June 1998, ?zmir, Türkiye, pp. 1 10, with M. Ufuk Caglayan. "The Problem of Trusted Third Party in Authentication and Digital Signature Protocols", ISCIS-XII, The Twelfth International Symposium on Computer and Information Sciences, 27 - 29 October 1997, Antalya, Turkiye, with M. Ufuk Caglayan. Discrete Link Capacity Assignment in Prioritized Computer Networks: 2 Approaches", in the Proceedings of the Ninth International Symposium on Computer and Information Sciences (ISCIS IX), Antalya, November 1994, pp. 408-415, with Cem Ersoy. "Güvenli E-Posta İçin Anahtar Yönetim Protokolleri", Bilişim 2003, TBD 20. Bilişim Kurultayı, 2 - 6 Eylül 2003, Istanbul, in Turkish., with Mahmut Ozcan. "Nasıl bir e-posta güvenliği", Bilişim Güvenlik, Mart/Nisan 2003, in Turkish, sayfa 38 - 40. "Açık Anahtar Tabanlı Şifreleme Neden Zordur? ", Bilişim 2002, TBD 19. Bilişim Kurultayı, 3 - 6 Eylül 2002, Istanbul, sayfa 41  45, in Turkish., with Mahmut Ozcan. "Elektronik Ticaret Gosterileri", Bilisim 99, TBD 16. Bilisim Kurultayi, Aralik, 1999. Also appeared in IGEME'den Bakis, sayi 11, pp. 65-71, Ankara, 1999. with Selahattin Kuru, H. Levent Akin, Olcay Kursun, Olcay Taner Yildiz. "Türkiye için bir Açık Anahtar Altyapısı Modeli", Bilişim 98, TBD 15. Bilişim Kurultayı, 2 - 6 Eylül 1998, Istanbul, sayfa 354  361, in Turkish., with M. Ufuk Caglayan. "Elektronik Posta Güvenliği ve Açık Anahtar Sunucuları", Bilişim 97, TBD 14. Bilişim Kurultayı, 3 - 6 Eylül 1997, Istanbul, sayfa 114 -117, in Turkish, with M. Ufuk Caglayan. "Elektronik Posta Güvenliği için PGP kullanımı", Aç?k Sistem '97, 7. Açık Sistem Sempozyumu, 19 -21 Mart 1997, Istanbul, sayfa 39 -46, in Turkish, with M. Ufuk Caglayan. "Bilgisayar İletişiminde Kimlik Kanıtlama ve Güvenli Üçüncü Kişi Sorunları", 4. Bilgisayar - Haberleşme Sempozyumu, Bursa, 11 - 15 Aral?k 1996, sayfa 85 -88, in Turkish, with M. Ufuk Caglayan. "Nested Certificates and Their Applications in Public Key Infrastructures," Technical Report FBE/CmpE-02/98-13, Bogaziçi University, 1998, with M. Ufuk Caglayan. Sabancı Univesity, Graduating Class Award 2007.